I AM SO EXCITED THAT THIS IS HAPPENING! CANNOT WAIT TO SEE THE RESULTS. Sorry for the caps, but this is totally awesome and inspirational. I feel the need to use all caps when describing this endeavor as well. IT'S SO EXCITING! I'm all about the white! My kicken has white appliances and white cabinets. The walls are shades of gray (no, not 50 shades). It looks so light and bright. I love spending time in there! Our new countertops will be grey (concrete) so we'll have the white/grey look going on, too! I'm with Henry, I like the yellow. 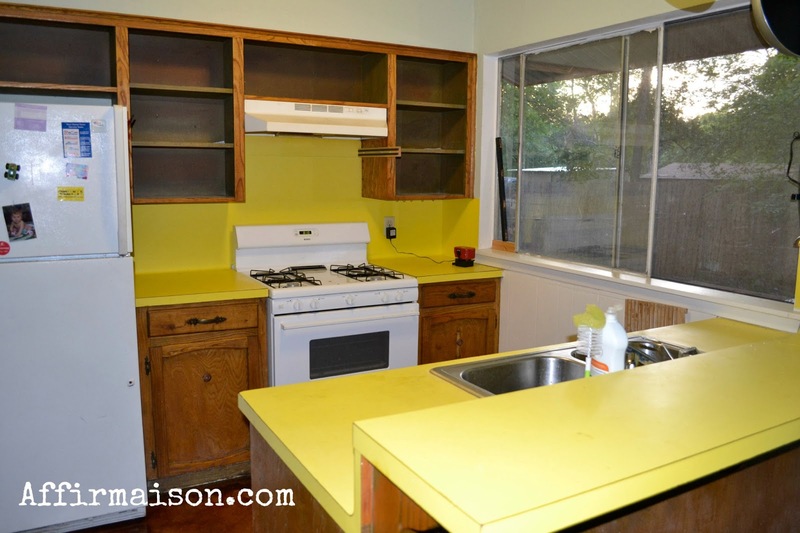 But I also think that white cabinets will help. You aren't the only one... but they have to go! I think you really will be happier when it's done! There are few things more mood-crushing than having (something you consider) an eyesore in the middle of your house. (I only include the caveat because I really did like the yellow! But I do think letting it crawl up the wall as a back splash was a bit much.) Sooo excited that you're doing this! I'll have to come visit when it's done! !